The fashion industry is a 3 trillion dollar industry. This means huge opportunities for both existing brands and newcomers. To get off the ground properly, startups need to place themselves in a fairly small niche, where their target customers are, and where there is a healthy amount of competition. By doing this, startups increase their chances of growth. What is a niche market and why should you find yours? A niche market is a small subset of the market for a specific demographic, product type, a particular price point, and a certain quality. The advantage of finding your own “pocket” is less competition. With less competition, you have higher chances to sell your product to the exact right people, that actually want and need your product. You can potentially even charge more because of the lack of competition. This also increases brand loyalty and gives the brand a bit higher buying rates. Since your target customer is right there, you will not have to spend as much money on marketing. As long as you talk to the customers in their language, authentically, and by telling valuable stories, they will not have to be “sold to”. They will get your brand from the get-go. Answering the questions and going through the tasks in the following 7 steps will help you determine your niche market. 1. What are your passions and skills? You will be the engine behind your brand, or you and a small team. If this is your first business, you will soon realize the ups and downs, and how hard you have to work in order to succeed. Your passion will make your work easier. What passions do you have that can be related to the apparel industry? Are you a biker? Do you love tailored suits? Are you streetwear obsessed? 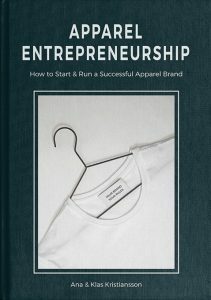 You will work 24/7 on your business, and if your passion doesn’t lie here, you should then NOT launch a clothing brand. If you truly are passionate and have genuine interests in related segments then you’re on the right track. Customers in niche markets tend to be very knowledgable, and they will sniff you miles away if you are not authentic and know your stuff. Make a list of at least 5 interests. What do you enjoy doing? What industry do you know a lot about? Which of those interests can you benefit from in your new business? Make a list of at least 5 things you’re good at. What are you good at? What comes easily to you? Which of those skills can you apply in your new business? 2. What values do you want to run your business by? The apparel market is extremely saturated. Today’s customers buy brands based on values and what they stand for. By making a list of values, you will narrow down even more on your target customer, demographic and positioning. Is it sustainability, transparency, local, quality standards, for a specific gender, etc? If you have a hard time coming up with ideas, start listing the values that you love with your favorite brands. Make a list of your values and your non-negotiables. 3. What area do you want to go to? This bit is pretty much self-explanatory. You can’t and shouldn’t do it all, so definitely narrow down from the start. What segment do you want to start in? Bridalwear, sportswear, streetwear, childrenswear etc? What gender should it be for? Men’s, women’s, unisex? What price segment will your products be in? Define your target customer, in order to know their preferences, where they shop, what they like, what they don’t like. 5. What problems can you solve? Most of the successful apparel brands in the market, solve some sort of a problem for their target customer. What pain points does your target customer have and how are you going to solve this for them? For example: You are someone that travels a lot and most of your suits get easily wrinkled during your trips. You would like to design a suit that doesn’t wrinkle, that stays fresh and that looks sharp in all situations. This suit will require certain materials, certain manufacturers, it will be at a certain price point etc. In the segment area that you have defined, what are the pain points that you are going to address for your customers, through your products? It is vital to know the market you are entering. Know who your competitors will be, know what price ranges there are, know what quality your competitors offer at what price, know the ranges, the colors, the materials, the marketing, the stories, and the pitches. What is there and what ISN’T? You should check as much what isn’t on the market place as what is. Analyze that later. Why is there a gap? If you see a potential gap, that’s your chance to fill it. If the gap is very clear, can that mean that there is no opportunity there? Talk to retailers to get clarification on this. Make a SWOT analysis after you’ve done your market research. Read Stand Out – Differentiate Your Brand From The Competition. When you know who your customer is, what they want and what your niche is going to be, it’s good to test your ideas and products. You will have lots of valuable information to tweak your product offering. You will also know how to talk your customer’s language, making it easier for you to connect, attract and keep customers. Be aware of how small your niche is. If there are not that many customers that want your products, you will have a hard time to grow your business. If you have a big vision for your brand and want to expand, you could be “trapped” in that niche and it will be hard to move on. Evaluate your product offering and the receiving in your market. Adjust your offer to better serve your niche. Some last words: It’s better to focus on one type of product or one segment. Do that really, really well, instead of having a big collection that’s all over the place, with no clear target customer in mind. And, the only way to stand out is to create your own niche. Once you have figured out your niche, it’s time to work on your business plan. 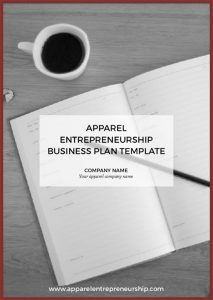 DOWNLOAD YOUR FREE BUSINESS PLAN TEMPLATE HERE.